Millions of world Buddhists annually celebrate the Vesak full moon day, which falls in the month of May. The devotees engage in the performance of meritorious activities and cultivate love and kindness towards all living beings. Meanwhile, mass meditation campaigns are also conducted to usher in universal peace and harmony. The Vesak day signifies three supreme events of the life Tathagata Gautama, the Buddha. The birth as Prince Siddhartha, Enlightenment and passing away of the Buddha, all on Vesak days, over a period of 80 years. 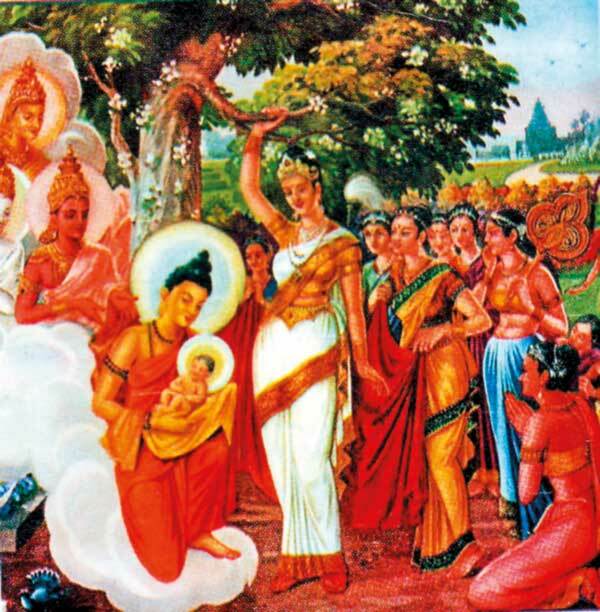 Siddhartha Gautama, the crown Prince of the State of Kapilavastu, was the only son of King Suddhodana and Queen Mahamaya. On the day his son Rahula was born, the strongly determined prince left his beautiful wife Yasodara, renounced the world as a penniless wonderer, disregarding the Crown, Kingdom and all the royal luxuries. Being a voluntary exile, he went into retreat as ascetic Gautama, in search of the ‘Sublime Truth’ for the deliverance and purification of ills of the lives of all mankind. In the company of ancient sages, he struggled amongst untold pain and hardships to develop his spiritual aspirations for six long years. He had no proper food nor shelter except caves, trees and leaves fruits, nuts and herbs. He practised under distinguished Alara Kalama, and gained a high degree of mental concentration in par with to Kalama. Gautama, was not satisfied with this achievement. Next he went to Uddakarama, and was warmly welcomed. There too, Ascetic Gautama, gained highest stage of mental concentration. Yet, he was far from his great expectations. 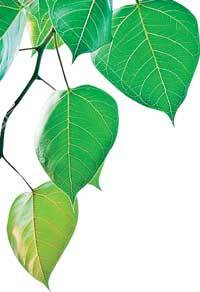 He needed to find complete cessation of suffering, total eradication of craving. His aspiration was to reach the Supreme goal. Tranquillity, intuition, Enlightenment and Nibbana! Thus, he left again to proceed to Uruwela Danawwa, where the five ascetics were engaged in spiritual uplift. In solitude his mind became more clear and remained perfectly one pointedness. He could next reflect all forms in their exact perspective. Ascetic Gautama was the Bodhisattva (Buddhahood), having learnt the futility of self mortification resolved to sought middle path of fruition from within his own mind. He probed in to the deepest recesses of his mind by applying himself to mindfulness by meditating on-in-and out breathing “inhale & exhale” Ana Pana Sati), and entered to elevated stages of (dhyana). He realized how sorrow leads to corruption. He analysed how sorrow arise and how it be eradicated, and realized that cessation of sorrow results in cessation of corruptions. Accordingly, corruption of sensual craving; corruption of craving existence; corruption of ignorance. The Bodhisattva apprehended and perceived the ‘third knowledge’ which he realized in the last watch of the night. His insight was ignited when the mind was well composed by freeing his mind of impurities by developing insight meditation (Vipassana), His penetrative wisdom could analyse three characteristics or signs of all conditioned things. (1) Anicca (impermanence) (2) Dukkha (Suffering) (3) Anatta (non-self) knowing and seeing that his mind was liberated from the taints of these sense –pleasure (kama asava), of becoming (bhava – asava) and of ignorance (Avijja asava) when the mind was liberated there came the knowledge “Liberated” and he understood knowledge and vision arose in him unshakable was his deliverance of mind. The victory was that this was his last birth now there was no more becoming, no more rebirth. Through his own comprehension he expounded the four Noble Truths and disclosed the Eightfold Nobel path, to save numerous suffering beings. Ending Sath Sathi, the Buddha uttered his first words, the “Paean of Joy” to Muchalinda Naga who stood before him in the form of a youth. As the Buddha ended the fasting session that lasted 49 days, Tapassu and Bhalluka, two merchants from Orissa, became the Luckiest Upasakas, to offer the maiden breakfast meal to the Exalted One! When they offered flour and honey, the four guardian deities rushed to the spot carrying four granite bowls, knowing that the Buddha won’t accept food to hand. Later the duo, took refuge in Buddha and Dhamma becoming the first “Devasika Upasakes”. The merchants pleaded the Buddha to grant them protections and the Tathagata gave them his Hair relics, Enshrining the relics they built the first ever Buddhist Stupa at Thiriyaya, Sri Lanka. Then the Tathagata contemplated when, where and to whom he should address first. Finding that the Highly intelligent Alara Kalama and Uddakarama, were then deceased, to embark on his Nobel mission the Buddha remembered the five intelligent Ascetics Kondanna, Bhaddiya, Vappa, Mahanama and Assaji. Thereafter the Buddha started from the ‘Jaya Sri Mahabodhi’ at Gaya, and proceeded to the Deer Park Isipatana close to Benares to meet the five Ascetics. At first, seeing their friend coming back to them, the five Ascetics wanted to ignore him with no preliminaries. By his 80th year, the Buddha had fulfilled his supreme mission towards purification and deliverance of all ills of life. He had laid down a clear code of ethics for his disciples (Maha Sangha), instructed and trained them to guide the followers and the seekers of truth, in his unique Eightfold Nobel path to acquire the Eternal Bliss, Nibbhana. The Buddha was satisfied and confident of the fulfilment of his duties as the Buddha! And that the relations between Maha Sangha and the followers (Dhayakas) were firmly established in his Dhamma and that were well efficient, capable of expounding them to the others and well-wishers. By this time the Buddha’s health gradually decreased. He suffered pain, sickness and became aware that he would soon end life. 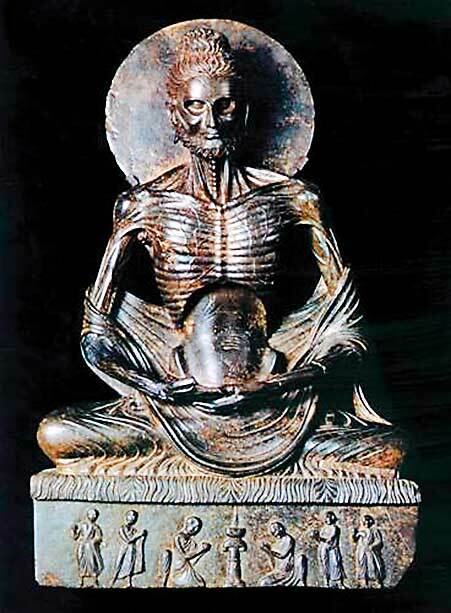 The Buddha though mentally supreme had human a physic that was subjecting natural phenomenon decay and death. Thus the Buddha began his final journey. Vesali was the stronghold of heretical chief Mahaweera, The entire state was once ravaged by a deadly famine epidermic and play life was lost every instant and at the verge of abandoning the city the Lichchavi royalty begged the Buddha’s protection. Responding to their invitation Buddha instructed Ven. Ananda Thera to recite “Ratana Sutta” and sprinkle Pirith Water and rain poured in torrent ending the disaster and revitalized fauna and flora. Thereon crowds of Mahavira’s followers embraced the Triple Gem. Before he started his last journey to Kusinara the Buddha looked back again at Vesali, saying “Ananda this will be the last time that the Tathagata will behold Vesali”. Accompanied by a large group of Bhikkhus then he set forth to Bhandagam, Hatthi-gam, Bhoga Nagara and to Pava Nuwara. Throughout his journey, crowds gathered to seek his blessings and the Buddha delivered Dhamma to all lay and clergy. At day break the Buddha spent at the Mango groove of a blacksmith named Chunda. Hearing of Buddha’s arrival Chunda rushed to pay his obeisance. Hearing the Buddhas’ discourse he was gladdened and begged the Buddha and the Bhikkhus to accept his invitation for the meal next day. The Buddha did not refuse nor spoke but signified his consent by silence. Next day at his place Chunda offered a delicious meal to the Buddha and Maha Sangha. He prepared sweet rice, cakes and sukara madhawa unfortunately the food disagreed and the Blessed one fell sick dysentery and deadly pain came upon him. He became feeble but strong in mind and led his group towards Kusinara. On the way he became thirsty and weary several times thrice he told Ven. Ananda “Fold I pray you Ananda, the robe and spared out for me. I am weary. Ananda and must rest a while”. When he arose Ven. Ananda invited him to quench his thirst and cool his body at the pleasant Kakuthta river. Though weak he agreed to do so. Having relaxed at the Mangrove he then moved towards his final destiny Mallas Upavana. As the Buddha reached his last destiny the ‘Sala Groove’ of Mallas at Kusinara. There came the last convert Subhadda. At first Ven. Ananda Thera refused to allow Subhadda to meet the Buddha. On hearing the Subhadda’s repeated pleadings the Buddha instructed Ven. Ananda Thera to allow him to meet Buddha. As the Blessed One was weary and relaxing between two Sal Trees, he decided to give his final instructions to Ven. Ananda Thera. Being unable to resist Ven. Ananda Thera left aside and began to weep. When the Buddha summoned him back Ven. Ananda remained beside Sulkily. “Ananda do not weep, have I not told you earlier.” All conditioned matter is impermanent and subject to decay and destroy. What Oh Ananda! does the order of disciples expect of me? I have disclosed the Dhamma making no distinction between esoteric and exoteric doctrine, Tathagata had no closed first of a Guru. Tathagata, thinks not that he who should lead the order of monks. The order is not dependent on Buddha. At the stage Ven. Ananda Thera became alert and pleaded that Blessed One should not pass away in this insignificant hamlet when there were so many popular towns. Then the Buddha told him “Say not so Ananda, This Kusinara was once the capital city of King Maha Sudassana under the name Keshavati”. Thence the Blessed One entrusted two errands for Ven. Ananda Thera. He adviced to see that nobody blames Chunda, for the illness or the death of Buddha, and that the first meal and the last meal offered to the Buddha carries equal merits. In the third part of that Vesak Full moon Night as announced before, the Exalted One! Breathed his last, 2560 years ago. At the first Buddhist convention held under the patronage of Arahant Maha Kassapa, three months after the passing away of the Buddha Arahant Ananda, by recurrence to the mind in the past delivered 84,000 Dhamma texts that he had learnt. Five hundred Arahant Bhikkus memorized the Nobel teachings in the form of Tripitaka, and preserved it from generation to generation for nearly 2000 years until the Tripitaka was inscripted during King Walagambha.